12695 NW 67th Dr, Parkland, FL.| MLS# A10495223 | Susan J Penn l Best Agent l Buy & Sell South Florida Homes! 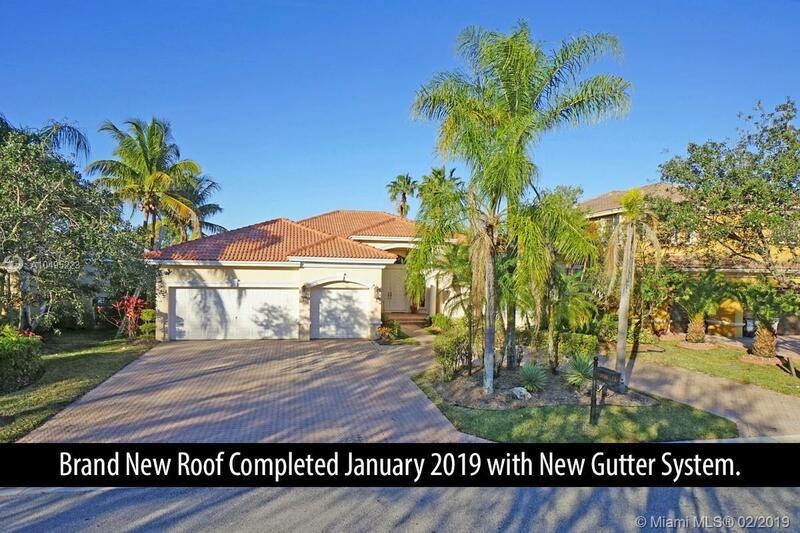 New tile roof just completed in January 2019. New gutters. Desirable Expanded Monarch by Toll Brothers. Single story waterfront pool home with 3 car garage and pavered driveway. High ceilings, huge master suite with 2 extra large walk-in closets. Formal dining and living. Huge family room with built-in bookshelf/entertainment center, eat-in area, and office/den. Large kitchen with granite counters, wood cabinets, stainless appliances, double wall oven, long bar, and mail desk. Large pool patio area with a covered patio. Beautiful water view. Location is close to south Clubhouse and tennis courts. Main Clubhouse is minutes away. Hurricane accordion shutters. Last sale of similar floorplan was for $660,000 in September 2018. Hurry! Directions: South Entrance To Heron Bay, Go Straight To Estates, Left At Entrance And Continue To Home On The Left.